Dr. Jacqueline Elliot, who currently serves as President and CEO of PUC National, emigrated to Los Angeles from Scotland at the age of 13 and attended LAUSD schools through 12th grade. She has been dedicated to public school reform since 1986 when she first became a teacher in Pacoima, California. She holds a B.A. in Anthropology, a Multiple Subjects Teaching Credential, and a Master’s degree in Educational Administration earned at CA State University, Northridge. She also holds a Doctorate in Educational Leadership and Change earned at Fielding Graduate University. She is a fellow of the Pahara-Aspen Institute’s Entrepreneurial Leaders for Public Education and a member of the Aspen Global Leadership Network. Dr. Elliot also serves on the 501c4 board of the California Charter Schools Association and on the Los Angeles Advocacy Council. In addition, she is an adjunct professor in graduate studies for the Institute of School Leadership and Administration at Loyola Marymount University and has been a recipient of the Hart Vision Award from the California Charter Schools Association, as Leader of the Year. Dr. Jacqueline Elliot was driven by an intense desire to improve the state of public education for the children and community of Pacoima, which she had grown to love. She founded Community Charter Middle School (CCMS) in 1999, which was the first charter middle school in Los Angeles County. The school became extremely popular very quickly and in response to community demand, she subsequently founded several more schools to serve the same geographic area. She began collaborating with Dr. Ref Rodriguez in 1998 when the two realized that they had identical visions for 2 communities to which each of them was respectively dedicated; the NE San Fernando Valley and NE Los Angeles. They began collaborating and supporting each other from the moment they met as they embarked upon what turned out to be parallel journeys in the two communities. After working together for 5 years, they co-founded Partnerships to Uplift Communities (PUC Schools) in 2003 as one umbrella non-profit organization for the schools and subsequently co-founded PUC National in 2013 to promote, serve, and replicate the Partnerships to Uplift Communities schools, mission, and vision. Combined, they have co-founded 15 highly successful PUC public charter schools located in NE Los Angeles and the NE San Fernando Valley and one PUC school in Rochester, New York. 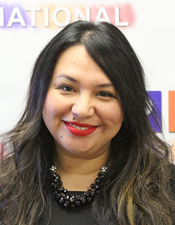 Malena Otero’s journey at PUC began in 2005 when she joined to develop an HR department to support PUC’s growth. At the time, the company had 125 employees, but has grown to over 900 employees working in 17 schools. Malena’s broad HR knowledge stems from a career spent working at PUC Schools, The Walt Disney Company, Adecco, and others. Her background in both the public and private sectors translates into a unique perspective on how human resources can drive every organization’s success. Malena brings a unique understanding and knowledge of federal, state, California Education Code, and charter authorizer’s compliance regulations. Malena was attracted to PUC because it served the students in the neighborhood where she grew up. She knew many of these students did not have access to an education that would prepare them for college. Working at PUC provided a great opportunity to work in the community where she had grown up and give back to the community. Malena loves to attend PUC graduations to witness PUC students and their families accomplish an important part of their journey. She enjoys working with teachers, school leaders and other PUC team members as they all work together to increase the graduation rate. She enjoys sharing her knowledge with others so they may grow and increase their effectiveness in all they do. A John Maxwell and DISC certified coach, Malena conducts workshops, seminars and coaching to aid in personal and professional growth. She earned her Bachelor of Arts in Spanish from California State University, Los Angeles and a Master of Arts in Organizational Leadership from Woodbury University. 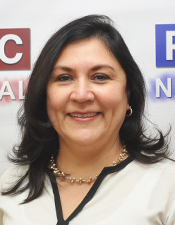 Lisa Tovar is the Chief Financial Officer for PUC National. Lisa Tovar has over 20 years of experience in Finance and Accounting. 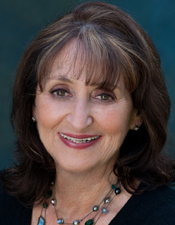 Prior to joining PUC National, Lisa Tovar was responsible for Budget Forecasting and Planning, Financial Reporting Consolidation and Fiscal Management for the Studio Services Division at Warner Brothers Studios, Warner Brothers Records, Music Publishing Division at The Walt Disney Company, SAG-AFTRA, Clear Channel Communications and The Patina Group. Lisa Tovar received her Bachelor’s Degree with college honors from UCLA and earned her Master’s Degree in Business Administration with a concentration on Accounting and Finance from Woodbury University. Lisa Tovar also received her Minor in Education and Public Policy at UCLA and was a distinguished UCLA Law Fellows Scholar, where she earned a certificate in Conflict Mediation on behalf of the UCLA and Los Angeles County Partnership Conflict Mediation program. With her high level of expertise in finance and accounting, and her dedication to the mission and vision of PUC, Lisa Tovar brings a wealth of expertise and passion to her work as PUC National, CFO. Lisa Tovar is a third generation native to Los Angeles and is passionate about being part of the educational community in Los Angeles. Edgar Chavez is the Director of Information Technology Department for PUC National. He oversees the Information Technology department for all PUC staff and students. In his role, he coordinates and directs end user support, network services, hardware acquisition, software acquisition, and technology polices. Additionally, he collaborates closely with the Director of Data and Student Information and Director of Instructional Technology regarding different data and technology instructional needs for PUC Schools. During his twelve years at service, Edgar has held previous positions as IT Manager, IT Technician, Network Analyst, and Network Administrator. Edgar earned a B.A. from California State University, Los Angeles and a M.A. in Educational Technology from Pepperdine University. David Jackson provides counsel and legal advice, including litigation support and risk management, on diverse charter school legal and business matters. In addition, David negotiates, represents, and reviews contracts on a wide range of transactions. David also researches, analyzes, and advises on compliance matters to ensure regulatory requirements, statues, rules and regulations are followed. 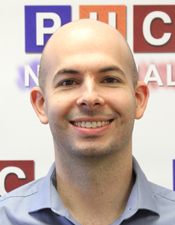 Prior to working at PUC National, David worked as an attorney at Irell & Manella LLP. In 2013, with a desire to help others, David sought an opportunity to work in education. During that same year, David was accepted by Education Pioneers to enroll in its fellowship program, which placed him at PUC National for that summer. While working as a fellow, David was excited to learn that he and everyone on PUC National’s leadership team shared the same values of compassion and service. Immediately after the summer fellowship program ended in August 2013, David happily accepted a full-time position as PUC National’s General Counsel. David holds a B.A. in Political Science from UCLA, a J.D. from UC Berkeley School of Law, and an MBA from UCLA Anderson School of Management. 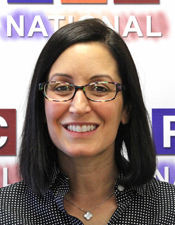 Nicole P. Murphy, currently serves as the Director of College Access and Financial Aid Strategies for PUC National. Nicole completed her 4th year at PUC, has worked in the Los Angeles charter school space for 12 years, and is EXCITED and ready to start her 20th year in education serving PUC students, families and staff this fall 2017! Born and raised in Long Island, New York, Nicole is a first-generation college graduate, earning a B.A in Psychology, Masters in School Counseling and her Educational Specialist Degree in Secondary School Counseling, at The University of South Carolina. Nicole began her education career as a School Counselor in Charlotte, North Carolina, then ventured to Southern California where she served as a school counselor at San Marino High School and LAUSD’s University High School. Nicole was introduced to the charter world as the Area Coordinator at Total Education Solutions, where she managed multiple charter school’s special education programs. Nicole returned to school counseling when give the opportunity to serve as the Director of College Counseling for The Alliance for College-Ready Public Schools. Always striving to sharpen her leadership skills, Nicole enrolled in Loyola Marymount University’s Charter School Leadership Program, where she earned a Certificate in Educational Leadership and Administrative credential. This program helped Nicole become more strategic at working towards her ongoing goal to empower ALL students and families with information and tools to help them reach their career and post-secondary education potential. With a team of credentialed school counselors, Nicole provides monthly College Counselor professional development, implemented and manages PUC’s Naviance platform across the network, creates PUC-Wide career and college events, and helps establish policies and systems to support PUC students, families and staffs success. Patricia has been with PUC since March of 2006. She began her career with PUC as a Human Resources Coordinator and is the second founding team member of the department. She is currently the Director of Human Resources. Prior to PUC, Patricia worked in Sales & Marketing for seven years for the PennySaver, Enterprise Rent-A-Car, and State Farm Insurance. She then decided to venture into Human Resources and has loved it ever since. She has been working in customer service for over 17 years. Ensuring employees are happy and providing support are her main goals. Patricia grew up in East Los Angeles and Monterey Park. Her parents always instilled in her the importance of education and going to college right after high school. Joining PUC was a great fit since she believed in PUC’s mission long before working for PUC. Patricia earned a Bachelor’s in Business Administration from Loyola Marymount University and a Master of Arts in Organizational Leadership from Woodbury University. She is married and has a son and a daughter. Edwin Torres was born in El Salvador and raised in the Pico-Union and Echo Park-Rampart neighborhoods of Los Angeles, California. He is the second youngest of four and a first generation college graduate. His parents are church pastors with over 40 years of service. This upbringing instilled in him the values of service, integrity, and life-long learning. He attended Union Avenue Elementary School, Virgil Middle School, and graduated from Belmont Senior High School. At the time of his graduation, Belmont, was the second largest high school in the nation with over 4,800 students in attendance, a graduation rate of 46%, and a college acceptance rate of 39%. In spite of these geo-economical disadvantages, Edwin went on to attend college where he studied Criminal Justice and Business Administration. In 2000, he entered the retail telecom industry. He became management in 2003 and steadily advanced in responsibility until 2009. This experience in private enterprise forged his skills in finance, leadership, and strategic planning. After becoming a father, Edwin discovered the work of the charter school movement in the same community his parents serve. He learned that students still faced the same challenges he overcame several years earlier. Driven by a strong sense of service and recognizing that educational inequity still plagued his community, he became determined to contribute. Edwin joined PUC Schools in 2009 as a Regional Operations Manager serving four schools in the Northeast Los Angeles area. He quickly became proficient in charter school operations and served an integral role in the expansion of nine new charter schools within the PUC network between 2009 thru 2017. Along this journey, he has attained certifications as an Emergency Manager, Certified Facilities Manager, and a Project Management Professional. 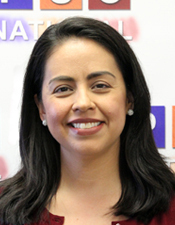 In 2010, Edwin became the Director of Operations for PUC National. He is responsible for systematic efficiency of school operations. In addition, he provides support to a team of twenty plus professionals that serve seventeen schools in the areas of Facilities, Emergency Response and Safety, Transportation, Food Services, and Risk Management. Copyright © 2017 PUC National, Inc. All Rights Reserved.